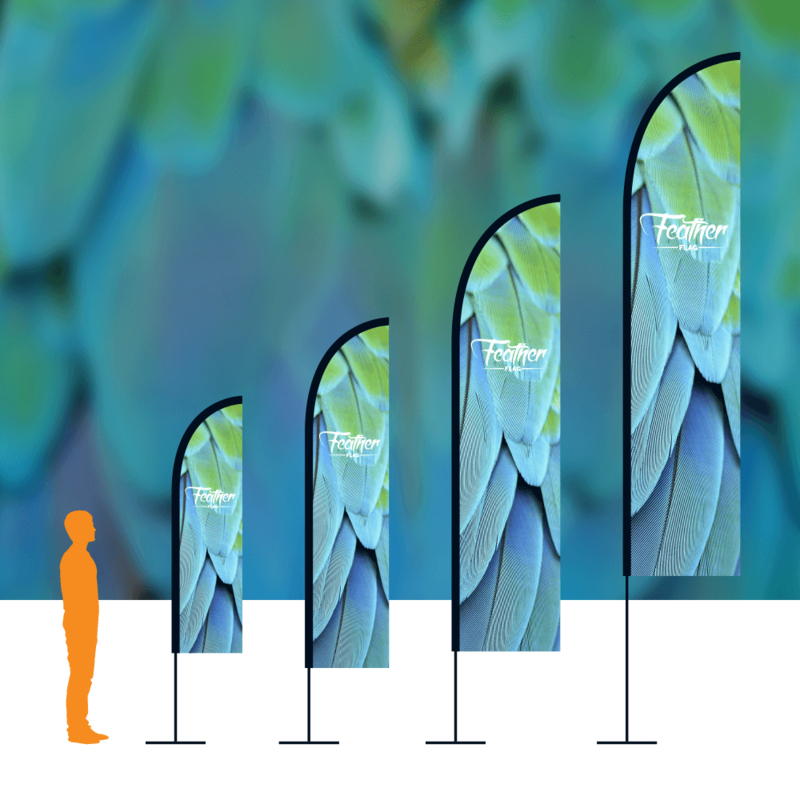 Stand out from the crowd with the imposing Wind Dancer Freestanding Flag Banner. 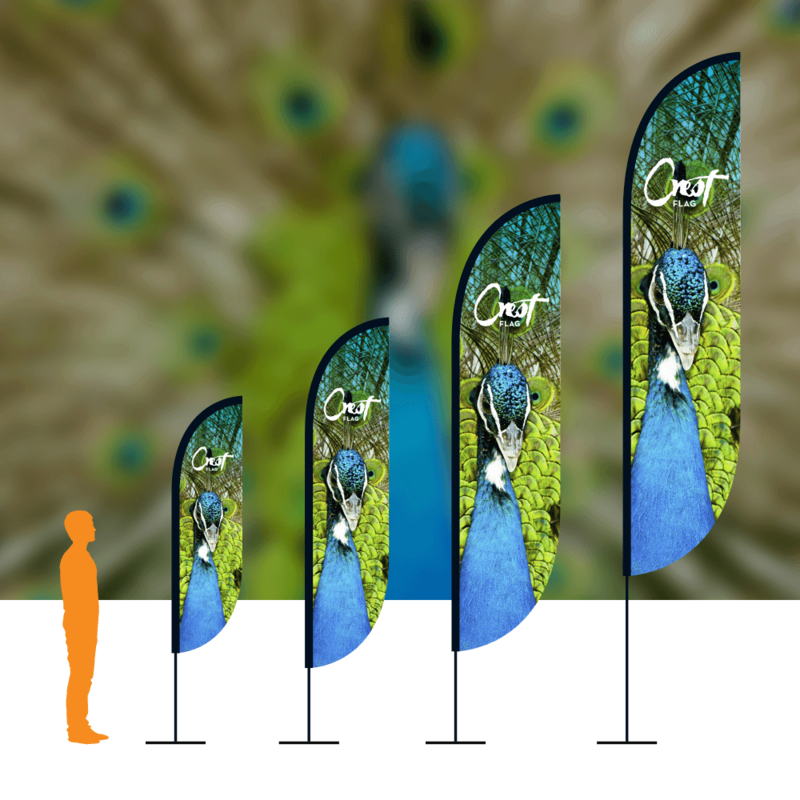 At heights of 4m or 5m you are sure to get your message across at an outdoor exhibition or event. 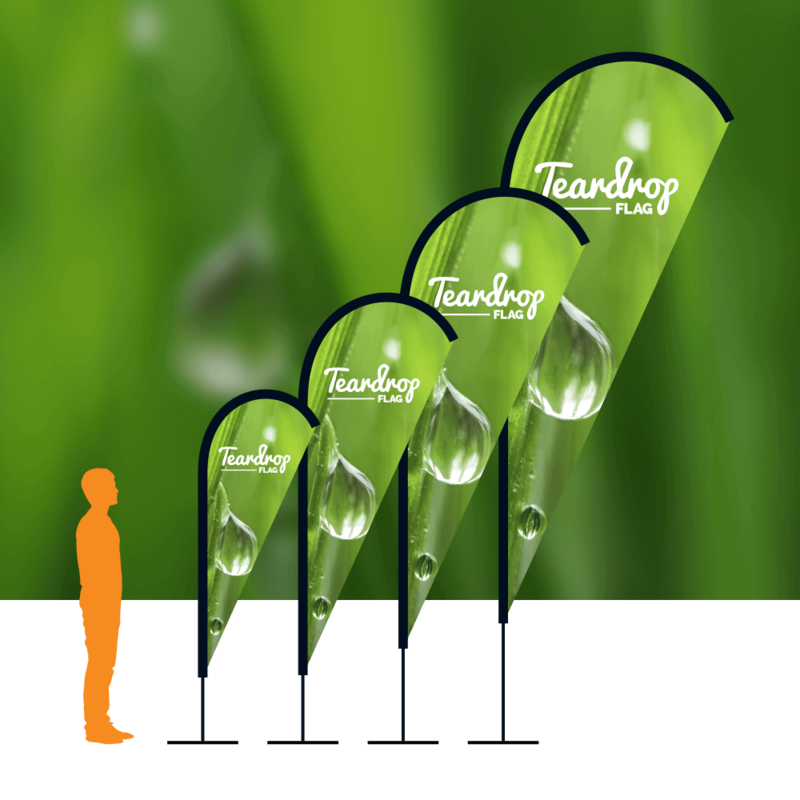 The Wind Dancer flag is a rectangular flag and the base folds in half for easy transportation and can be filled with water or sand for stability. 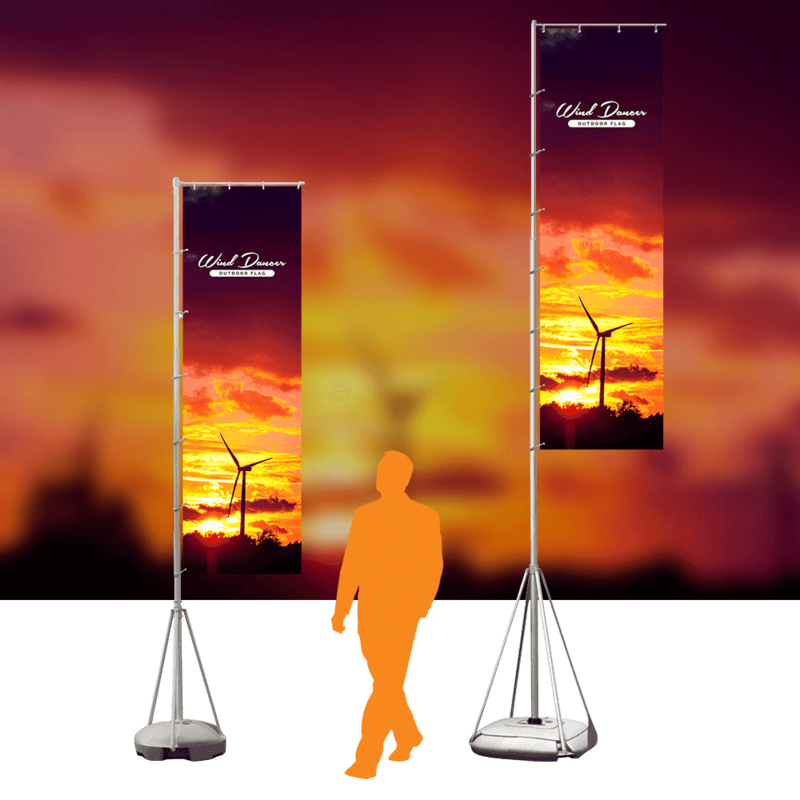 The Wind Dancer is easy to transport and set-up and can be assembled by one person, without the need for any tools.